The kind of death and destruction seen recently in Mexico City should never happen. On September 20, a massive 7.1 magnitude earthquake shook Mexico’s capital city. 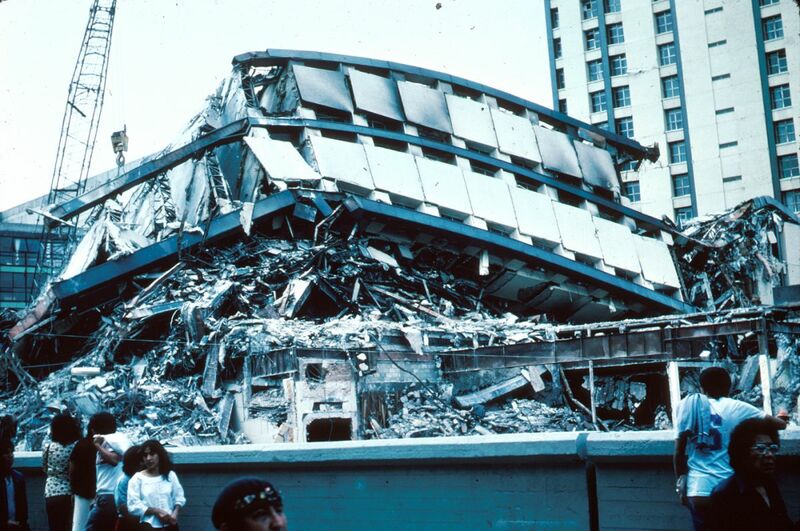 Most of the approximately 230 deaths weren’t from the original movement of the ground, however—in this quake, as in many others, collapsing buildings were the primary killer. During an earthquake, the energy released by the movement of huge segments of the Earth’s crust generate powerful forces that spread across hundreds of kilometers. When the base of a building shakes or lurches from the force of an earthquake, the difference between the top and bottom of the building can introduce new stress and strain onto the materials that support the structure, causing them to rupture. Over the past few decades, new designs and materials have meant that buildings in Mexico City and elsewhere have become better engineered to withstand the forces involved during a quake, but they are far from infallible. Researchers are developing novel techniques to ensure that future structures are even better equipped to avoid collapse. In fact, they may be able to predict or even prevent earthquakes before they happen. But before we get there, we need to understand how our current structures work (and don’t work). That’s why many cities in earthquake zones had restrictions on how many stories a building could have, according to Thomas Heaton, a professor of geophysics and civil engineering at the California Institute of Technology. Of course, some materials are better at handling this changing energy than others. Wood works surprisingly well— “Wood is, in a sense, ideal in that it’s extremely lightweight compared to its structural stiffness and strength,” Heaton tells Futurism. Concrete is typically a brittle material, but when it’s reinforced with steel rebar, it becomes much more elastic when shaken side to side. Others fare far worse: adobe clay buildings (millions of which were destroyed during the 2015 Nepal quake) and masonry (those made of brick or stone and held together by mortar). The design of the structure, too, can concentrate or dissipate energy from an earthquake. Engineered wood, such as laminated wood, makes up the frame of the house. The beams are supported with sheer walls, which are designed to collapse under pressure from an earthquake, and are connected with metal bracings that loosen during shaking. The whole house is securely fastened to the foundation to prevent it from slipping off during a quake. Many modern skyscrapers do surprisingly well in earthquakes because the force exerted by strong winds demand that they are built to be flexible. Older structures can be retrofitted to be equipped with today’s safer techniques, but that’s sometimes more expensive than simply building something new. The structures that would do best in an earthquake would be windowless, concrete entities, the kind of thing that most architects would deem hideous. “When I look at [structures] that people think are beautiful, open airy things full of windows, I just see crushed human bodies waiting to happen,” Heaton says. Some newer, more sophisticated structures are built with a technique called base isolation. 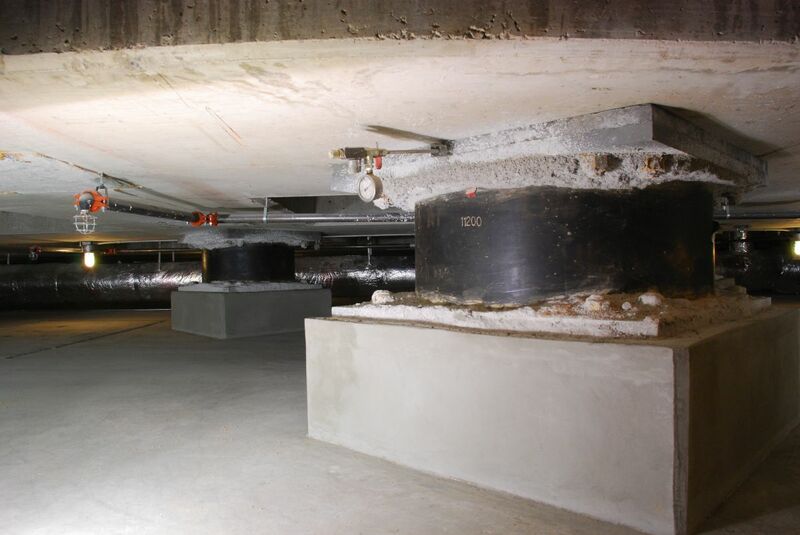 Rubbery devices are installed near the foundation of the building to absorb the energy from an earthquake, preventing it from dissipating throughout the frame. “You can think about it as something like a shock absorber in a motor vehicle scaled up to a building level,” Whittaker says. Base isolation is still expensive, so it’s primarily employed in buildings that are used by large numbers of people or those that would be important in an emergency, such as hospitals and airports. Apple Park 2, the tech company’s new campus, recently became the largest base-isolated structure in the world. It’s far from the first time that a quake in Mexico City has become a cautionary tale — the infamous 1985 earthquake left 10,000 people dead and 30,000 injured. Mexico is wedged between two tectonic plates, making it one of the most seismically active countries in the world. The city itself is built on an ancient lakebed and is actively sinking. Its soft soil is reminiscent of pudding, as one geologist recently told Buzzfeed, so during an earthquake it bounces more than hard rock, which has the potential to cause more buildings to collapse. Part of the danger comes from the types of buildings that are most common there. “A lot of the buildings in Mexico City are non-ductile structures. In photos [of the destruction] you see beams, columns, and connections—they’ve come apart,” Domniki Asimaki, professor of mechanical and civil engineering at the California Institute of Technology, tells Futurism. Mexico has excellent engineers and fitting building codes, Whittaker notes. But most buildings in Mexico City are older, built to different specifications that may make them a hazard today. “Most modern constructions and modern codes can sustain earthquake loads pretty well. It’s the older buildings, constructed under older codes or assumptions, that…were not necessarily designed for the same forces,” Jason McCormick, associate professor of civil and environmental engineering at the University of Michigan, tells Futurism. In this most recent seismic event, too many buildings still weren’t ready. Mexico City simply got lucky that the quake wasn’t stronger, according to the New York Times. New materials might help buildings be better equipped for earthquakes to come. McCormick is developing polymer or metal foams, which are currently used in the aerospace industry, that could be scaled up to fit into joints between structural elements to absorb energy and prevent substantial damage. He’s also working on shape memory alloys that would not only absorb energy, but also re-center a building pushed off-kilter during a quake, reducing the need for repairs. Others are working on self-healing materials — capsules in concrete that would repair a crack in a building frame or foundation that resulted during an earthquake. In the next few decades, researchers may be able to achieve an engineering feat they’ve worked towards for years: predicting earthquakes. Though we already have early warning systems in places like California and Japan, these give people at most a minute to find a safe place. Future systems could work better, giving people even more time. To truly understand the nature of earthquakes and the chaotic forces involved in them, seismologists need even more data, from satellite data of incremental ground movements to information gathered from sensors deep in the earth—expensive experiments that are too resource-intensive for any single research team, Asimaki notes. Even further into the future, it’s possible that we could diffuse an earthquake’s energy before it ruptures destructively. We could cause a smaller, controlled quake using liquid pressure, the way we are already doing by accident during the fracking process and which NASA has proposed doing to neutralize the enormous volcano under Yellowstone. “That’s definitely far away. But that’s something that’s not impossible,” Asimaki says. As for the most recent quake in Mexico, engineers and seismologists will learn from it. Figuring out just what those lessons are will take time. And yet it’s surprising that earthquakes are still so mysterious to us. “One of the world’s greatest unsolved physics problems is how earthquakes work in the first place,” Heaton says. With every new quake, even the destructive ones, humans inch closer to understanding them.